Rated 5 out of 5 by candacemae79 from I am loving this series! This is the second in this new series from Eipix. I really love it. Like the previous game (Vermillion Watch: Moorgate Accord), there are unique puzzles and games, an intelligent and interesting storyline, and gorgeous graphics. Spot on for that period in London. I can't wait for the next in the series! Rated 5 out of 5 by SparkleGlow100 from Like a BBC version drama with a Sherlock Holmes-type feel PLUSES - in the first half, the locations and details are gorgeous - like the wonderful, dark, heavy wood of the pub, the hotel room that has ornate carvings around an arch and the bedspread that is brimming with a subdued palette of floral design. -A game with a nice open feel. You'll go to various indoor habitations, and public places, graveyard, theatre. -You can hear appropriate sounds wherever you go. - I was glad I could choose "Skip" on the punch 'em up, mini-game! -The warning is good- so you know what kind of game you're in for. There will be bit of violence, punching, stabbing, but in this case, not copious amounts of blood, gore or disturbing personalities. You might jump once or twice, here and there, just as a startle! -The voiceovers are superb. -Thoroughly enjoyable HOPS - 8-10, and a fun mix of puzzles (not easy and will make you think)- all skippable if you're not in the mood. -Well paced. MINUSES - The visual details that were apparent in the first half of the game, begin to disappear (perhaps because, by that time, we are supposed to be well and truly absorbed by the plot (Well, luckily I was, until the very end). -The last 1/4 lost momentum and I was eager for the finale. Rated 5 out of 5 by Sookiewoo from Atmospheric and enjoyable! I really did like the style of this game, the graphics are good, storyline involving and it tried to bring you in to the setting a little more than the norm'. The characters were typical but fun, puzzles a little different and the whole game highly playable. I began unsure but thoroughly enjoyed it, well done! Rated 5 out of 5 by greenshade from My favorite new series I rarely buy CE games anymore so had this on my list to buy as a Standard Edition. When this came up for purchase the CE was on sale so purchased it and I’m SO glad I did !! What a fantastic game.. one I didn’t want to stop playing and was happy for that extra hour of gaming in the Bonus chapter. Thanks, Eipix, for a great new series and proven to me that sometimes the CE is definitely worth the price. Rated 5 out of 5 by pennmom36 from The Foggy Streets Of London May Never Be The Same Last night, a very talented thief stole a valuable item from the Mr. Singh's vault. The missing item is a rare meteor fragment worth more than it's weight in diamonds, but Phileas Fogg believes the motive is not just about the items value. Just when you thought the Red Queen would no longer be a problem, she rears her ugly crown once more to keep the Vermillion Watch on their toes! Move over Sherlock Holmes, there's a new detective on the scene, the likes of which the streets of London have never seen! (prolly cause of the split pea soup fog) Young Hawkes has assumed the role of her dearly departed Grandfather, Ernest Hawkes, but this latest criminal has proven to be quite a challenge. Dubbed the "Gentleman Thief" this criminal may be sophisticated , but mostly, he's one tough thief to keep up with! I'm really liking what I'm seeing from this new series. The Vermillion Watch is mirrored after the Sherlock Holmes mysteries that take place in the famous streets of London in the early 1900's. The graphics do a fantastic job keeping in tune to the period, the clothing, the fog, the stagecoaches, the lamps along the streets, even the character's accents will make you feel like you're there. I especially love the feature that allows you to choose which area you want to investigate first, in this edition you have three different locations to investigate, the haunted Graveyard, Bridgetown, and the local College. Many of the scenes offer Panoramic views, where you can scroll further to the left or right in an attempt to make the player feel like they are actually there. In the Collector's Edition version you can earn the usual Achievements, and there are 41 Hidden Lightning Bolts to collect. The Hidden Object Scenes are well done, again the devs have done a nice job of keeping the items true to the period of time. Don't forgot to look for the Morphing Object in each scene. There are Keywords in a story finds, Combination finds where you find an item that is described by 2 Silhouetted Shapes when combined, and even smaller Zoom Zone HOP's. 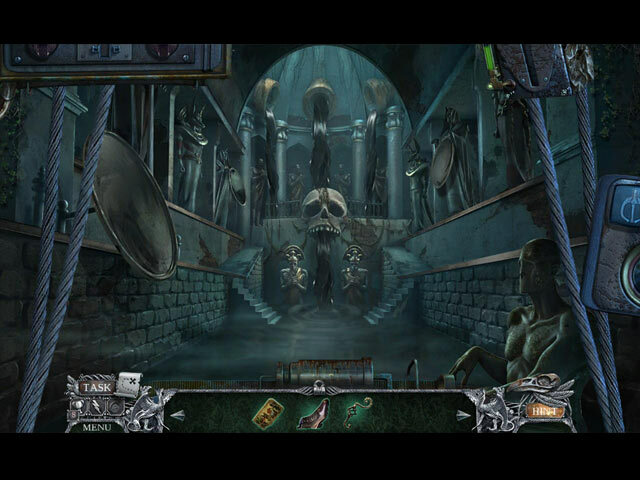 I enjoyed the Hidden Object Scene that required you to find multiples of items that represented Rage, Greed and Cold. The Mini Games are very doable, most are of good length and entertaining. Below are brief descriptions of some of the games you'll encounter during the demo: 1) Find and select the differences between the pictures on playing cards, ignoring the suit features themselves. 2) Watch the thugs moves, then select your arms in the correct order to block his punches. 3) Select the ball when it reaches the rectangle to fight off the violinist. 4) Connect the triangles on either side of the cryptex with a continuous line by rotating sections. Then find the exact area that matches the picture clue. Repeat 3 different times. 5) Select the arrows to find the figures from the poster, on the stage to reveal a code. 6) Open all of the man's fingers, selecting one finger may affect other's. The Collector's Edition has 15 Morphing Objects within the HOP's, 9 Concept Art pictures, p Dev pictures, 9 Wallpapers, 11 Music Soundtracks, 14 Videos, a Souvenir Room, 18 Achievements to earn, 15 replayable Hidden Object Scenes, 20 replayable Mini Games, Collectible Characters, a built in Strategy Guide and a Bonus Adventure, enjoy! Rated 4 out of 5 by ninja226 from Victorian Frankenstein thriller Despite the "mature audience " warning, it is PG-13 scariness (when you wander the graveyard). 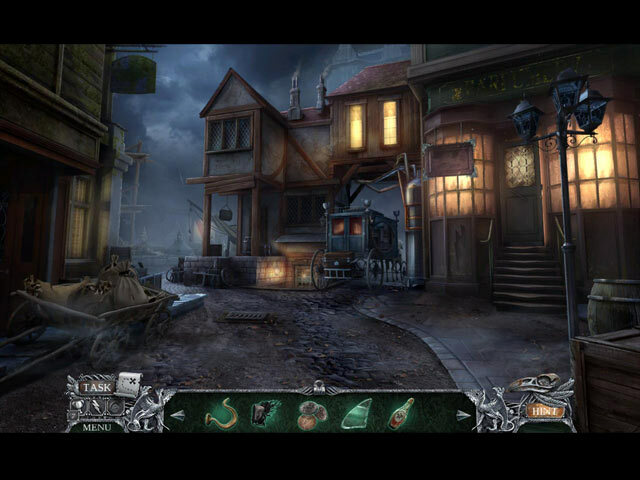 This game series is great for those familiar with Victorian classics authors such as Edgar Allen Poe, Sherlock Holmes, Jules Verne and Mary Shelley. The names of the characters pay tribute to these authors, as well as the setting that Sherlock Holmes would be comfortable in. The storyline is a bit convoluted but makes for a great ending. The artwork is superb. Long game play. Puzzles are just the right amount of challenge, but no frustration. HOPs have right balance of interaction and gels with overall progress. Instead of a straight narrative arc, you are allowed choices about who and where to visit, which is a refreshing change. A new character is added to the Vermilion Society, and she is a beaut. This is a worthy game to add to the collection. Rated 4 out of 5 by deddu from Vermillion Watch In a foggy London you are sent to find out what the Red Queen is doing. I enjoyed the mini-games as I found they were different from the standard ones you find in games. The hidden objects were varied and you picked up something to be used later. 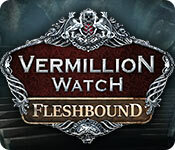 Rated 4 out of 5 by coffeyfan77 from Highly Enjoyable Adventure Hybrid Fleshbound is the sequel to Moorgate Accord, the first Vermillion Watch game, and though you don't need to have played the first to enjoy it you will likely want to in order to dig deeply into the solid back story presented at the beginning of the game. That's a nice touch, by the way, and I wish more casual games would employ it. 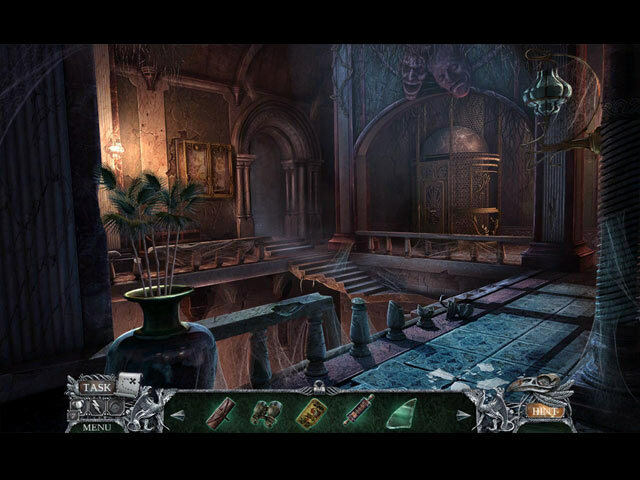 First off, this is not a standard hidden object game, although you will get a few of those scenes and they are well designed with a minimal amount of item interaction. It plays more like an adventure, where you'll navigate various areas in pursuit of the shadowy criminal opposition, fending off goons and sabotaging evil plans along the way. I enjoyed the time sensitive nature of this and thought it moved the game along in a way many don't. I also really liked the literary aspect of this, as you'll meet more than a few familiar faces of authors and their creations in and around Victorian London. Minigames are rather challenging and original, and the voice acting is top notch. Extra points for making the game more interactive than usual. You get to choose where to go first in your investigation and which member of the Watch will help you decipher the clues you find. Nice touch. All in all, this is super enjoyable. It does move quickly, as others mentioned, but it's because the game is so exciting and fast paced. Really solid work on this second entry. Rated 3 out of 5 by lamp_post from Won't let me do what needs to be done! I actually like this game but in too many of the puzzles you have to be in the exact and I mean exact spot or the game will not accept what you are doing and just keeps saying You have to figure something else...Doh!! The graphics are good and the story line is different which did hold my interest. It was fun to be able to choose what and where you wanted to go next. Some of the HOs and puzzles were a tad boring, but that seems to be the norm anymore for recent games. Try this before you buy.